Are you working on a project, but can't seem to find any high quality video clips for b-roll? Or maybe you want free HD videos that you can use on your video project commercially? 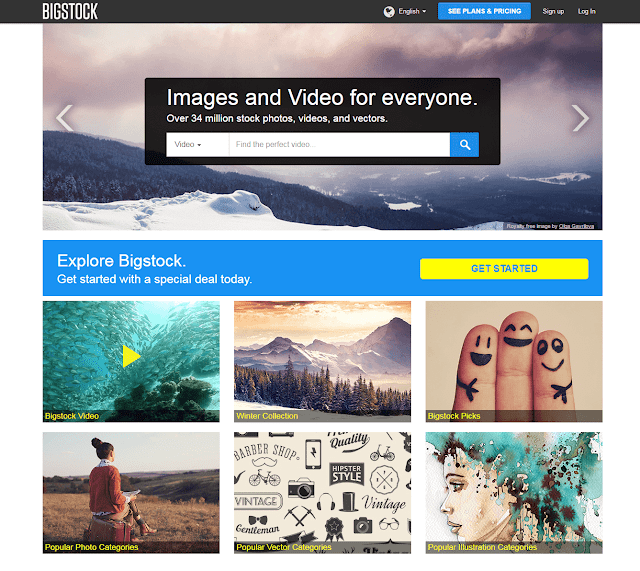 If you want to find high quality video stock footage that you can use absolutely free of charge then keep on reading. The best thing about the video clips available on Pixabay (besides the fact that they're free) is that they don't take up much space! Many of the videos range from 5mb to 40mb (many of which do not come with audio intact). The videos uploaded to pixabay are from users using a variety of sources as well as their own to bring the best free video content to you. Clip Canvas has a free section with about 4 pages worth of free beautiful HD video downloads. It doesn't have as large of a selection as Pixabay, but their video library is still worth checking out. The size of the videos vary from 20mb to 300mb per video download as these are high quality videos, but you can download handbrake to compress the size. Distill (currently in beta) generously sends out 10 free nicely crafted HD videos for both commercial, and personal use. They schedule their videos to be sent out every 10 days, and also allow you to browse their video library for past videos. You can subscribe to their site to get instant video deliveries straight to your inbox the moment they're sent out. Distill also allows you to sort their videos by type. You can do this by selecting the icons on the left hand side, and choosing the category you want. They have categories such as food videos, abstract videos, people videos, city videos, technology videos, and more. Okay, so I'm technically cheating by listing this site, but I truly recommended it. Videoblocks is in fact a paid subscription stock video site so it is not free, but they do allow you to have a nice 7 day free trial packed with 20 free HD movie studio quality video downloads per day (yes, do the free trial, find stunning video clips, and you never know you might stock by it!). So in 7 days you can download up to 140 HD stock videos for free. They offer a satisfaction guarantee as well as a library of over 115,000 videos to download from. On top of offering stock videos they also offer after effects templates, motion backgrounds, and a whole lot more. Why not sample what they have to offer with their free trial, it's free! The video footage size will take up a lot of space (400mb + per video) on your device so I recommend downloading handbrake before hand to compress your videos. Since I'm on a roll with the free trials why not keep it going? Bigstockphoto is offering a 7 day free trial on their HD stock video service. A total of 35 high quality videos for you to download to sample a bit of big stock's video service. Like Videoblocks the video file sizes are immense so handbrake is a must. This is a fairly new site that I luckily stumbled upon, and the HD quality is very good. The website itself is not completely free as prices vary, but what I wanted to bring to attention is their "100 Free Stock Footage" section which allows you to download hundreds of free HD footage for your project. All you have to do is sign up, and download. Keep in mind that some of their clips are labeled for "editorial use only" so if you need to use it commercially look for the "check" mark next to the "Commercial Use" section. As a bonus they also have an app available for contributors so if you yourself film b-roll or have tons of random HD clips that you filmed in the past lying around on your computer that you'd like to earn some money from I would definitely recommend giving the app a go.